a bus rapid transit stop, light or heavy rail station, commuter rail station, or ferry terminal. Provide at least two short-term bicycle storage spaces for every 5,000 square feet (465 square meters), but no fewer than two storage spaces per building. Provide long-term bicycle storage for at least 5% of regular building occupants, but no fewer than two storage spaces per building in addition to the short-term bicycle storage spaces. Provide at least one on-site shower with changing facility for the first 100 regular building occupants and one additional shower for every 150 regular building occupants thereafter. Short-term bicycle storage must be within 100 feet (30 meters) walking distance of any main entrance. Long-term bicycle storage must be within 100 feet (30 meters) walking distance of any functional entry. Bicycle storage capacity may not be double-counted: storage that is fully allocated to the occupants of nonproject facilities cannot also serve project occupants. Provide a bicycle maintenance program for employees or bicycle route assistance for employees and customers. Route assistance must be provided in a manner easily accessible to both employees and customers. 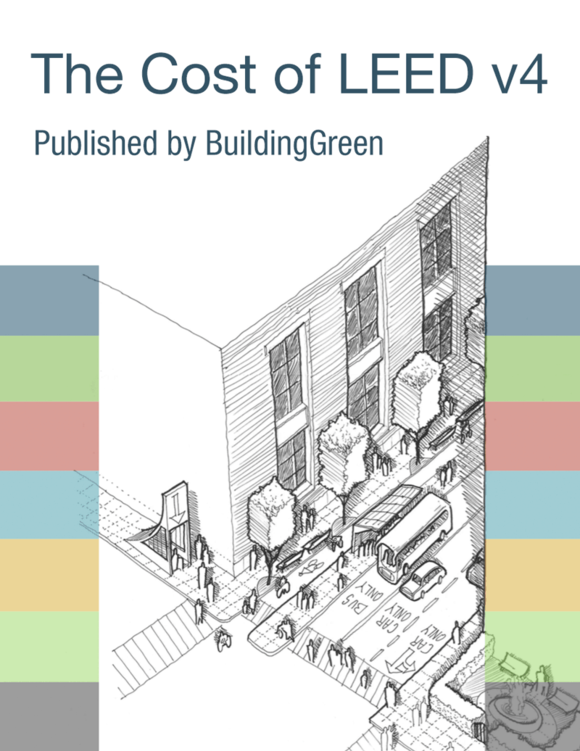 For projects that are part of a multitenant complex only: If bicycle storage spaces have been provided in the complex in which the project is located, determine the number of spaces that may be attributed to the project by dividing the project’s floor area by the total floor area of the development (buildings only) and multiplying the percentage result by the total number of spaces. If this number does not meet the credit requirement, the project must provide additional bicycle storage. Routes that meet the alternative requirements outlined above must be clearly identified by type within the required documentation. What is length of stay is considered ‘short-term’ vs. ‘long-term’? If the building is listed in Appendix 2 Default occupancy codes with zero transients, does that mean we don’t have to provide any short-term bike spaces? Regarding the requirement to provide shower facilities on commercial and institutional projects, what counts as “on-site”? Can double-stacked bike storage racks comply with this credit?